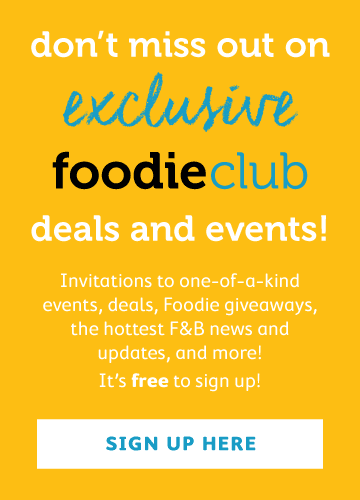 Junk season in Hong Kong is well under way and choice isn't whether or not to spend a day out on the water but simply who to get to cater the hordes of revellers aboard. Cali-Mex have got this well and truly covered with their Junk Packs that offer all the requirements for a barge banquet: easy to eat with no need for plates or utencils, keeps well over the course of a long day on the water, and with enough variety to keep everyone happy from the vegetarians to the carnivores, the adventurous to the less adventurous and the tiny tots to the more mature masses. You can choose between three different Junk Packs ranging from the San Francisco to the Laguna Beach and the Malibu. Each of these should get everyone's taste buds junking for joy, you need only choose to please your crowd. This is the simple sustenance package; at $88 per person its enough to keep you going on a fun-filled day at sea but without the messy leftovers. 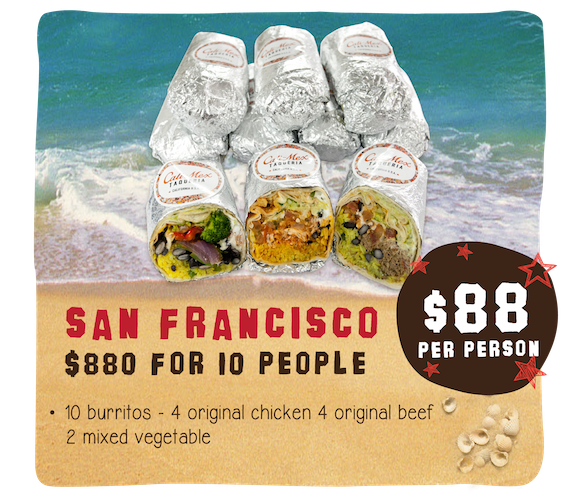 The San Francisco comes with ten burritos with four of those chicken, four original beef and two mixed vegetables so there's something for everyone. 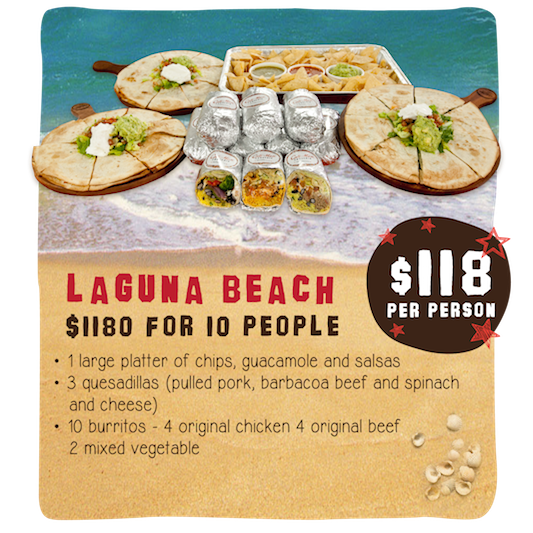 This offers more for the all-day grazing junk crowd; $118 per person will get you a large platter of chips with guacamole and salsas for dipping throughout the day as well as three quesadillas of pulled pork, barbacoa beef and spinach and cheese to tempt the taste buds and then ten burritos with a mix of vegetable and meat fillings. 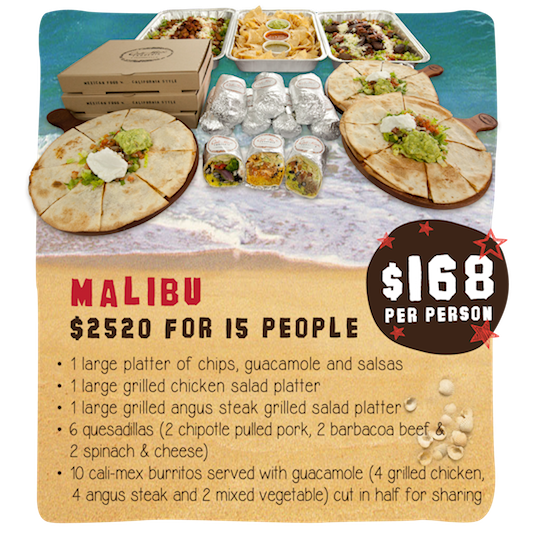 The granddaddy of feasting; at $168 per person you get that large platter of chips and dips along with a large grilled chicken salad platter, large Angus steak salad platter, six quesadillas and ten burritos with guacamole with four grilled chicken, four Angus steak and two mixed vegetables, all cut in half for mix-and-match sharing. You can order straight off the Cali-Mex Mobile App or order online at www.cali-mex.com and its free delivery on all orders.